Few things can compare to spring in Mooresville. A virtual explosion of green creeps through the hills and makes the whole region come alive. This is also the time where you are able to evaluate whether or not your trees made it through the winter. Many times trees around here can seem to last forever as we have a very favorable climate. Although it is rare, we do have hard winters that can kill trees and spring storms that will topple stout old trees. At Tree Tech we are your local tree service, specializing in trees, we don’t bother with landscaping or anything else. We truly care about nothing more than the health of Mooresville’s trees. We were founded by a certified arborist and currently have five on staff, so no matter how complex your tree issues we are here to help. As unfortunate as it is, every year our region loses trees to cold, disease and storms. Trees are like a time capsule and can show us exactly what the weather, climate and the environment it lived in were like over its lifetime. Of course, trees are notoriously tight lipped about their backstory, and the only truly accurate way to obtain their life story is to chop them in half. Tree rings, as we all well know, indicate growth over the tree’s lifetime and it can be interesting to see what the rings have to tell us. 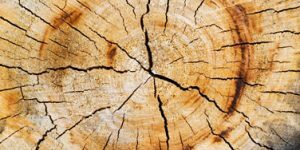 In the case of a tree that has died, evaluating its rings can be a walk down memory lane, particularly if it was a very old tree or a tree that was planted for a special reason. Many families in the area plant trees in their yards when they have young families or to commemorate a loved one’s passing. These events, although not directly recorded in the tree’s rings, are evident in the memories that the rings represent for us humans. After a tree dies, yes it can be a bit of a bummer. The old stalwart guard of your home has finally succumbed to the effects of age or injury. Now it stands, creaking in the wind, grey and washed of all of its life, it is now a question of what to do with this dead tree in your yard. A dead tree should be considered a danger, and due to decomposition, should be removed as soon as its demise has been confirmed. 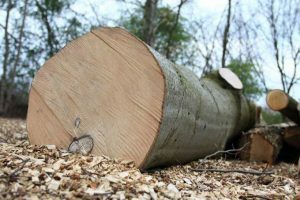 Whenever you cut down a tree, the stump remains, and unless it is completely removed can cause an unsightly blemish on your yard. It can be sad to think that a once beautiful tree can be reduced to an eyesore in your yard. Calling in a professional tree service like Tree Tech can solve all of your problems, we will safely take down the beloved old tree and give it a proper send off. 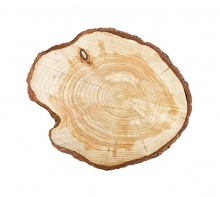 Of course if the tree holds a special memory for you and your family, you may want to consider saving some of the wood for a project, something like a picture frame or a bench. These items can be a nice, physical addition to a home, representing good times. After the tree is cut down a stump can be very difficult to remove, we can do it through stump grinding, without ruining the existing turf. At Tree Tech Tree Service we care for your trees from seedling to stump and value each and every tree we care for. If you have a problem tree, a dead tree or simply want to evaluate the health of your trees, contact the certified arborists at Tree Tech Tree Service and enjoy your trees for years to come.